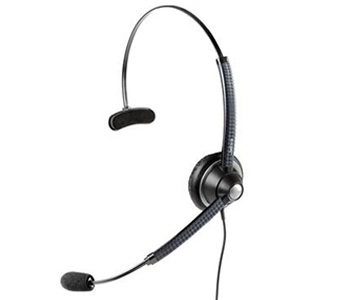 A cost-effective corded headset for call centers. Compatible with most phone systems and amplifiers. Easy installation with a Quick Disconnect (QD) plug. An ergonomic option with a lightweight design and comfortable ear cushions.